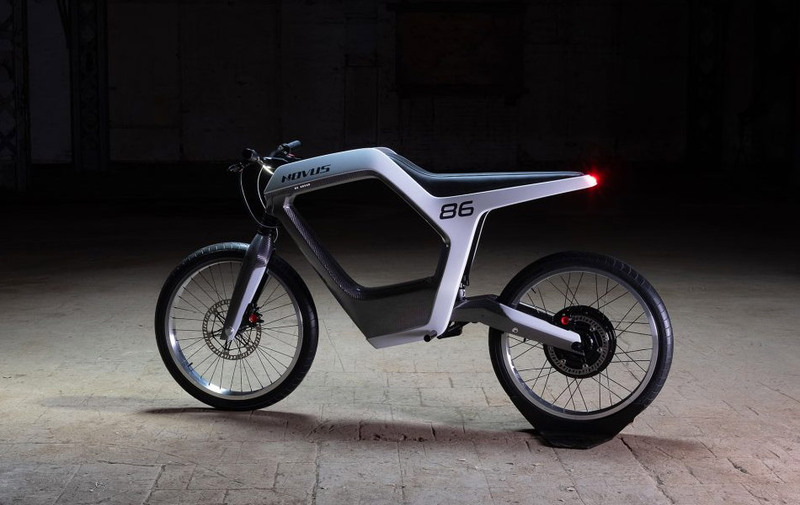 The exquisite, nimble Novus Electric Motorbike boasts revolutionary technology as well as revolutionary looks that promise to turn heads and blow minds--it's most stand-out visual feature being a beautiful hunk of negative space where a fuel tank would usually sit. The graceful carbon fiber frame weighs just 39kg and can be propelled at up to 97km/h, with a 100km range. Just an hour's charge replenishes the battery 80%.